Looking for that last minute gift or some cheerful holiday decorations for your home? Why not make it a “green” holiday? Eco Fabulous offer myriad eco-friendly gifts and everyday products from Organic Hot Chocolate by Dacoba to eco-accessories for the whole family at Pottery Barn. Why not give a gift that keeps on giving for a whole year? GreenDimes is a service that will get rid of 90% of your junk mail. I have used it for almost a year and I barely got any gift catalogues in the mail this year…it works! And, when you join, they will plant 5 trees on your behalf. They also offer other “green” gift ideas. Another GREAT gift idea is from Eco Hatchery where you can get an Eco Hatchery Starter Kit complete with an Energy monitor, Compact fluorescent lightbulb, Reuseable shopping tote, Reuseable Filtered water bottle, HOme Tap Water Quality Test, Faucet Aerators, Toilet Leak Detectors, Refrigerator Coil Brush, Refrigerator Thermometer, Water-based Removeable Caulk, Outlet Sealers, Light Switch Sealers, Waterpipe Insullation Samples, Recycled Coffee Filters and a Renewable Soy Candle for $97.50. This website has great resources and information as well. 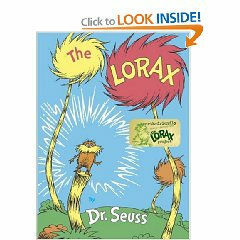 Finally, a great present for children: Leave it to Dr. Seuss to write an insightful “Earth Friendly” book for children way back in 1971 called The Lorax. The message is wonderful and it is even printed on recycled paper! I got my copy on Amazon.com but I’m sure it is available in bookstores everywhere. 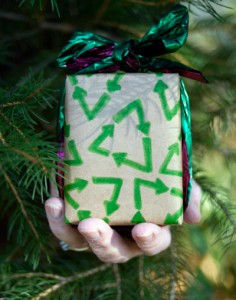 Have a happy, “Green” holiday season and a very “Green” New Year! If you are new to the Lake Norman area you may not know that Jennifer Pippin is THE area expert in green housing. She is chairperson of the Lake Norman Home Builders Association’s Green Building Council and is a frequent speaker in the greater Charlotte area about both environmental and green housing issues. Below is a list Jennifer prepared for a presentation for the Center for the Environment at Catawba College. 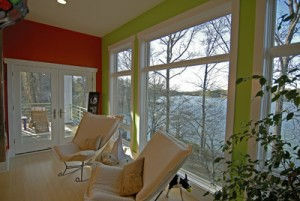 It is her personal list of things she learned while converting her modest waterfront home into a spectacular green home. Enjoy! Do you understand how your whirlpool tub works, so that you’ll know what to do when it turns itself on in the middle of the night? 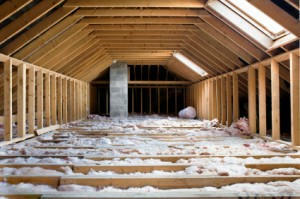 Hire a flooring installer who is familiar with installing your flooring type, otherwise, you may hear your trim guy saying “this is the worst flooring installation I have ever seen”. Work with an experienced Lake Norman Green Building team! Green can mean many things, depending on who you talk to. Each person must define for themselves what Green means to them. For this Lake Norman homeowner, Green is living in a sustainable home they love, which will in turn protect and shelter them literally, for many generations to come in a healthy environment. If you don’t love your home, you will not take care of it and you may not keep it. A sustainable home is one that will last; it is durable, flexible, accessible, healthy and loveable. Healthy indoor air quality, from incorporating an HVAC air cleaning system and installing interior materials with low or no VOC’s, such as paints and formaldehyde free cabinetry. Abundant daylighting, which allows for literally no electric lighting needed to function in the home during the day, which also improves productivity and the occupant mood. Include a live – work home office / studio space, which allows for no commuting time, reduced gas useage, reduced carbon emissions and a much happier homeowner. Landscaping which is drought tolerant, incorporating native plantings, which require minimal watering and are beautiful to enjoy year round. Lighting control system provides the ability to dim the lights, which reduces the electricity needed to power the bulbs and lengthens the life of the bulbs. In addition, this control system also provides for a safer home, where you never need to enter a dark house, one button control on the car visor garage door control turns on a pathway of lights through the home upon arrival. The time has come to go back to our beginnings, where home was more than a shelter; it works within its surroundings, with its local climate and nurtures the inhabitants. 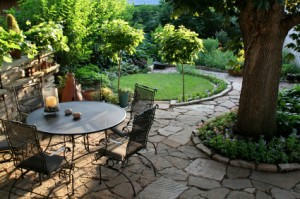 Homes are places to be respected for their power to rejuvenate, refresh and restore our energy. We have a responsibility to ourselves and our families to provide healing spaces for our bodies, mind and spirit. To bring balance to our lives we must consider the importance of our personal space, to bring peace and harmony to our soul and our planet. If we will change our thought processes about home, open our minds and condition ourselves to respect our home as much as our planet, giving ourselves time to relax in a home which has the ability to nurture us in so many ways. Your home must give you joy to be in it and a healthy home you love, will provide you more than that. Consider how your space makes you feel, incorporate nature, and find access to happiness. Embrace your home intentionally, incorporating the natural elements available to you and allow it to embrace you – for it is a powerful energy source and resource. Live Green Lake Norman!